Kate and John Coleman are rebuilding their troubled marriage. Kate had a drinking problem, but is in therapy and is doing well. She has been sober for one year. The couple decide to adopt a child. When they meet the nine-year-old Russian girl, Esther, at the St. Marina Orphanage, they immediately fall in love with the well-educated orphan. Their young son, Daniel, is hostile to his new sister; but their deaf daughter, little Max, is enchanted with her - at first. Eventually, Kate begins to feel that Esther is manipulative and possibly even psychologically disturbed. John refuses to listen to his wife's misgivings, and the wounds in their marriage reopen. 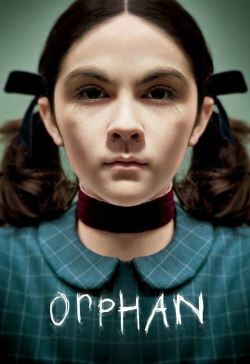 Kate calls Sister Abigail at the orphanage, and the nun informs her that Esther has a troubled and mysterious history. Kate delves further into Esther's past and discovers she is not all she pretends to be.